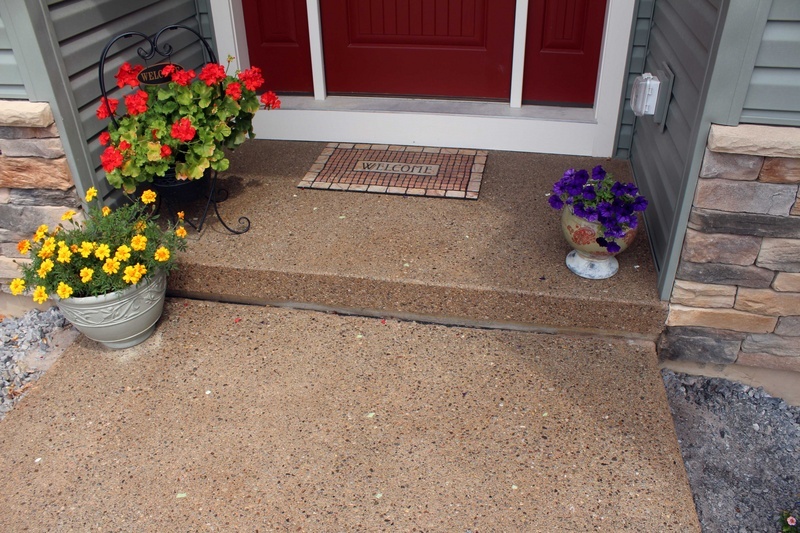 R. Broad Concrete special blend exposed aggregate mix. Exposed to the perfect depth to allow the brilliance of the colored aggregate to be shown uniformly. 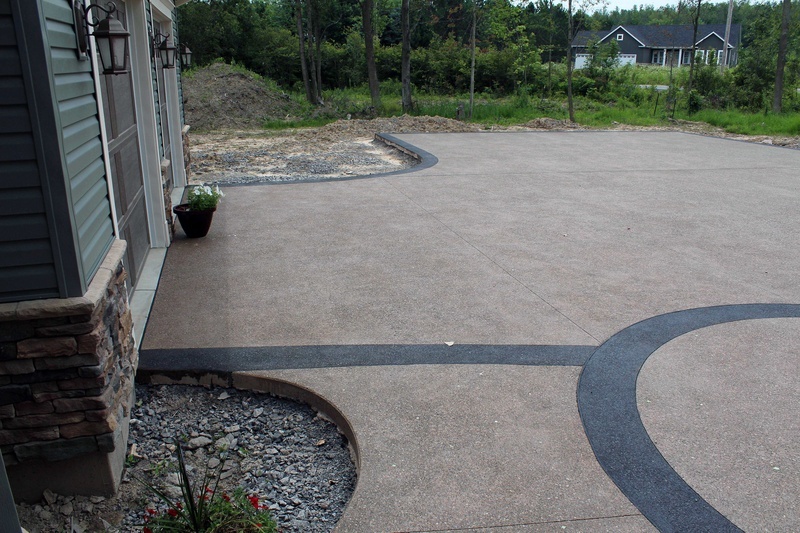 Enhanced with sandstone colored concrete, "glow-in-dark" stones, and one of a kind stained border. 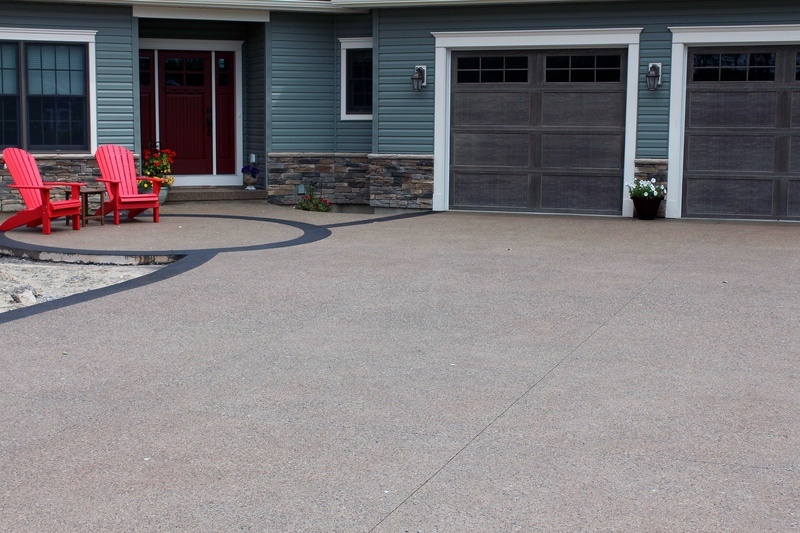 This driveway and sitting area is a "show stopper"! A must see in person. R. Broad Concrete's "trade-secret" additional 2-step process ensures uniformity and color enhancements unlike any other in the industry.